Today I covered much less ground, deciding to spend some time exploring my neighborhood around the Canal St. Martin, and then heading to Père Lachaise Cemetery and the Place de la Bastille, two locations that made an impression on Calvin. "Octavia and I have spent our time in sight-seeing, principally, and such sights— each day has been worth a voyage across the Atlantic. 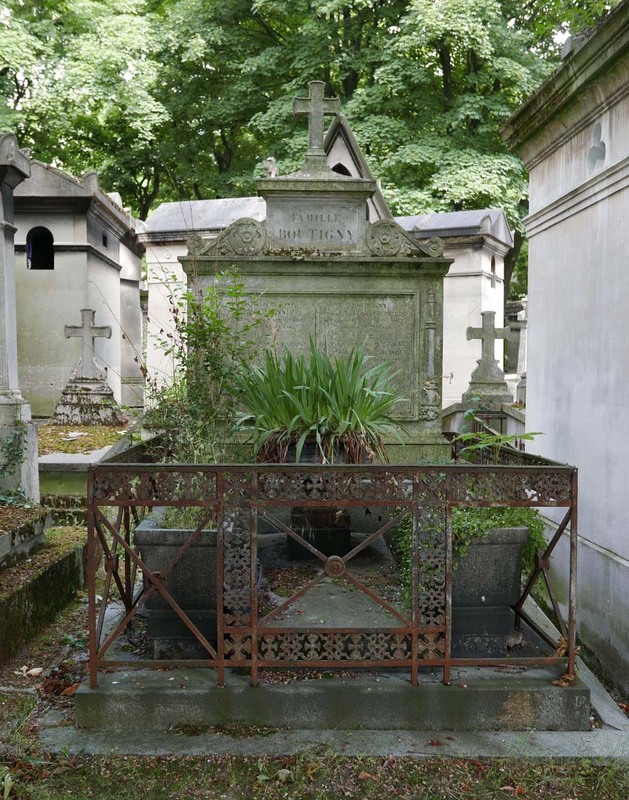 Today we have been to Pierre la Chase [sic], the city of the dead, 100 acres filled with monuments of distinguished men and of the rich who could afford a splendid tomb— from this place is a fine view of Paris…"
"Gate of the Bastil[l]e — High monument in Bronze surmounted by a figure holding an [. 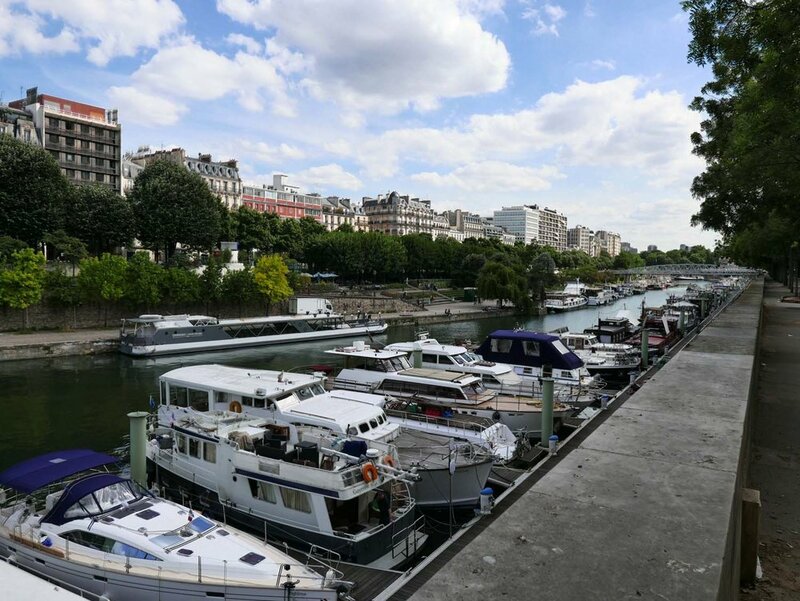 . .] Elephant in Gypsum — Canal — Boulevards — 150 and in some places 250 wide — trees— houses 6 to 7 stories — Courts and shops elegant — Bastile was an oblong square — gates and vaults remain, opening on the Canal and are wine and wood cellars. The Houses on each side [. . .] to the walls of the Bastile — nearer than before its destruction."